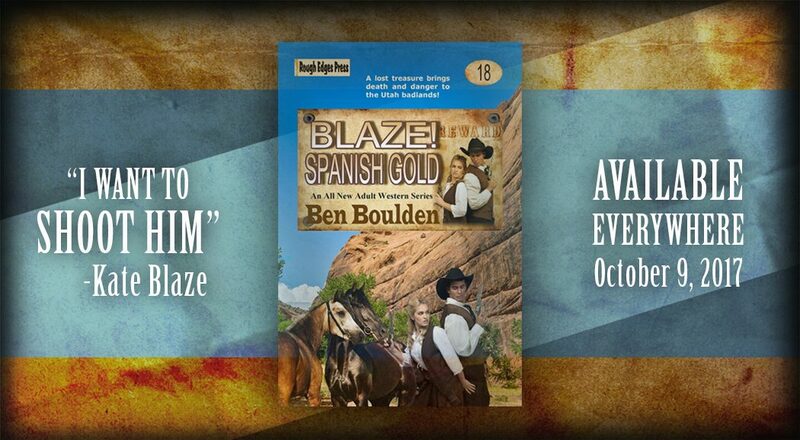 Ed Gorman wrote no fewer than 10 western novels for Berkley between 1999 and 2006. 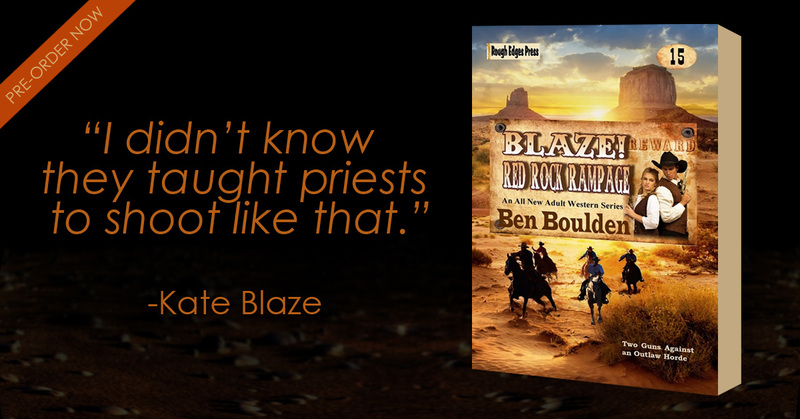 The earlier titles tended to be branded with a single word—Lawless, Vendetta, Relentless, Lynched—and like all of Mr Gorman’s westerns, each is as much a mystery as a western. 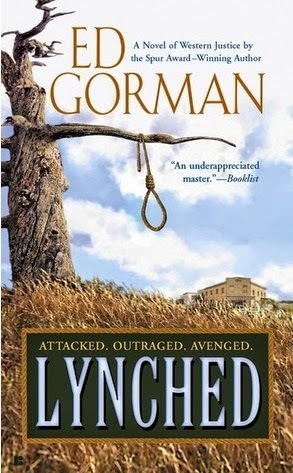 I recently read his novel Lynched, which was originally published by Berkley in 2003 and recently released as an ebook by Rough Edges Press. 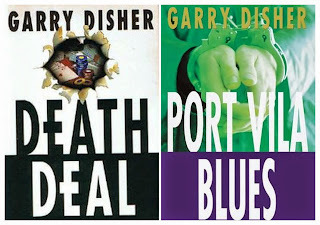 Garry Disher is an Australian writer well known for his crime fiction worldwide. He also has a successful track record writing literary, children’s and young adult fiction. 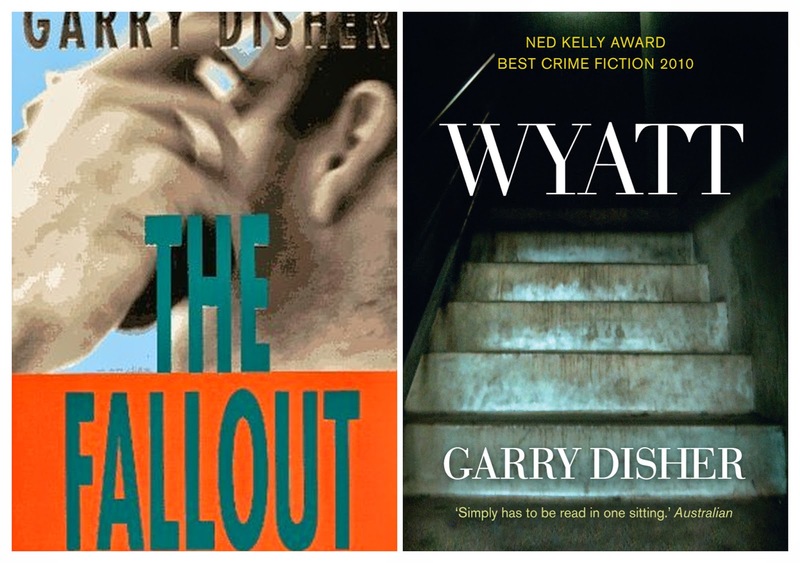 Mr Disher cut his teeth, in the crime genre, with a heist novel featuring his now cult character Wyatt in the 1991 novel Kickback. 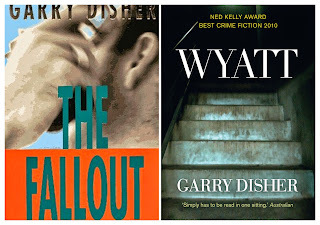 Wyatt has appeared in a total of seven novels. The most recent, simply titled Wyatt, appeared in 2010 (after a 13 year hiatus) to rave reviews. It received a starred review from Publishers Weekly, and even more impressively, won the prestigious Australian Crime Writers Association’s Ned Kelly Award for Best Fiction. 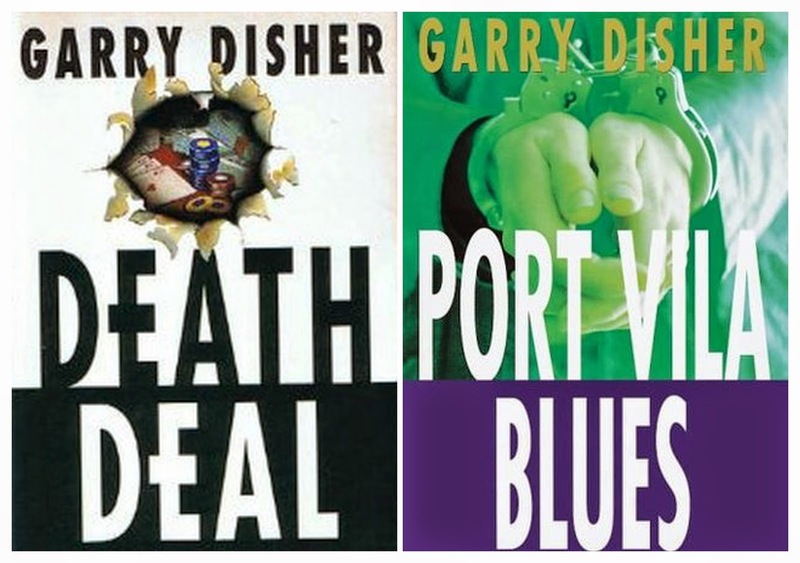 Mr Disher is also the writer of a series of police procedural novels featuring Hal Challis and Ellen Destry. The first title, The Dragon Man, appeared in 1999 and the latest, Whispering Death, was published in 2011. The fourth novel in the series, Chain of Evidence, won the Ned Kelly Award for Best Fiction, and was named by Kirkus Reviews in its Best Books of 2007 (Indie Books category). 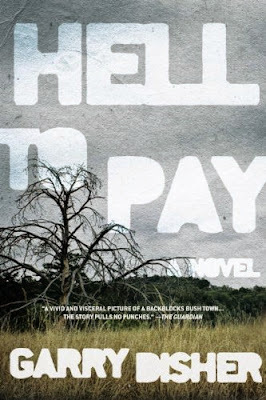 His most recent crime novel is the excellent Hell to Pay (published as Bitter Wash Road in Australia) featuring a, so far, non-series police constable nicknamed Hirsch stationed in a small South Australia bush town. Mr Disher was kind enough, and showed an amazing amount of patience, to answer a few questions. The questions are italicized. In the United States you are most well known as a crime novelist, but you also write children’s and adult literature. Is one type of fiction more difficult to write, and do you have a favorite? I don’t have a favourite, all three satisfy me creatively and offer the same creative challenges. It’s assumed that writing for children and teens is simplistic and therefore easy work, but the reverse is true. Perhaps I have tested my creative boundaries with the ‘literary’ fiction, but I take care with the craft aspects whatever I write. However, I’d argue that writing crime fiction has taught me an enormous amount about creating and maintaining tension and suspense, which has helped with my children’s/YA and general fiction writing. I read that you received a creative-writing fellowship to Stanford University in California. When did you attend Stanford, and was it a positive experience? Also, as a fan (it’s an imperative since I’m from Utah) I must to ask, did you meet Wallace Stegner while studying at Stanford? The Australian Stanford writing scholarship was set up by a wealthy Australian who had studied at Stanford. It no longer exists, but for many years the scholarship would go to a poet one year, a fiction writer the next. I value my time at Stanford very highly. The scholarship came at just the right time, when I’d had some success with short stories in little magazines and competitions, but yet knew nothing about the craft of writing. By the end of my time there, I had a clearer grasp of fiction writing techniques, saving me years of hit-and-miss writing, and, more importantly, knew how to edit and rewrite my work. Yes, we (my class of twelve fiction-writing students) did meet Stegner one afternoon. A very genial, knowledgeable and gracious man. In an interview I read that you enjoy watching “crap American crime shows on TV.” A habit we share. What are some of your favorite television shows? I have corrupted my daughter into watching with me: anything from Justified, Dexter and Breaking Bad (incidentally, these are classy, not crap) to CSI Miami repeats and Criminal Minds, which are crap. In fact, one tires of crap TV quickly: the absurd plots, the bad acting and the aridity of formulaic writing. I should also mention some of the British shows, like Scott & Bailey and Prime Suspect, and the Scandinavian shows, like The Killing and The Bridge (the US version of The Bridge was terrific). 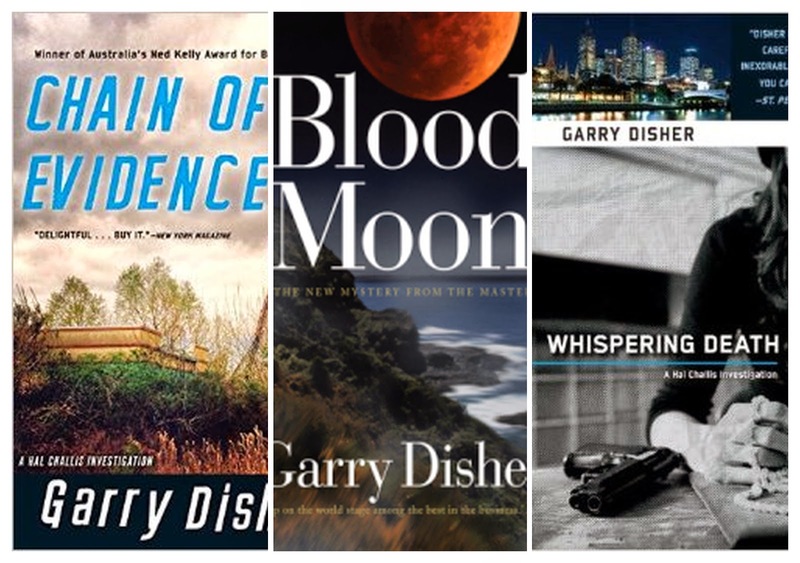 Speaking of television, Internet Movie Database (IMDb) identifies five television films, featuring a detective named Cody, based on characters created by “Garry Disher.” Are these films based on your work? If so, did you develop the characters for television, or are they based on your fiction? Many years ago, after the first three or four Wyatt novels had appeared, I was approached by the Sydney producer of a water-police series to create a new character for a series of two-hour tele-movies. They paid me enough to clear my mortgage, but… First, I created an undercover policeman, having met one recently and been struck by the strange double-life he’d led, infiltrating biker gangs (and the fear and the ambiguity), but learnt to my cost the producer had a certain happy-go-lucky, cheeky-grin, surfer dude actor in mind (“He can’t do dark,” they told me). So back to the drawing board. I later went on to write three storylines for the scriptwriter, about a cheeky-grin cop named Cody… One story involved art theft. The producer told me, “We see our audience as the western suburbs [i.e., blue collar workers] of Sydney: they’re not interested in art theft.” That was my introduction to the world of writing for film and TV. In an interview for the State Library of Victoria you said, “A good crime novel tells us about the world we live in. Tells us about human nature. In many ways literary fiction has let us down on that front.” Would you expand on this idea? Why do you think current literary fiction is failing? I feel sometimes when I read the latest highly-praised literary novel that it’s rich in characterization and absorbing themes and gorgeous language, but I’m dying for something to happen, for a character to do something (walk through the door with a gun in his hand…?). 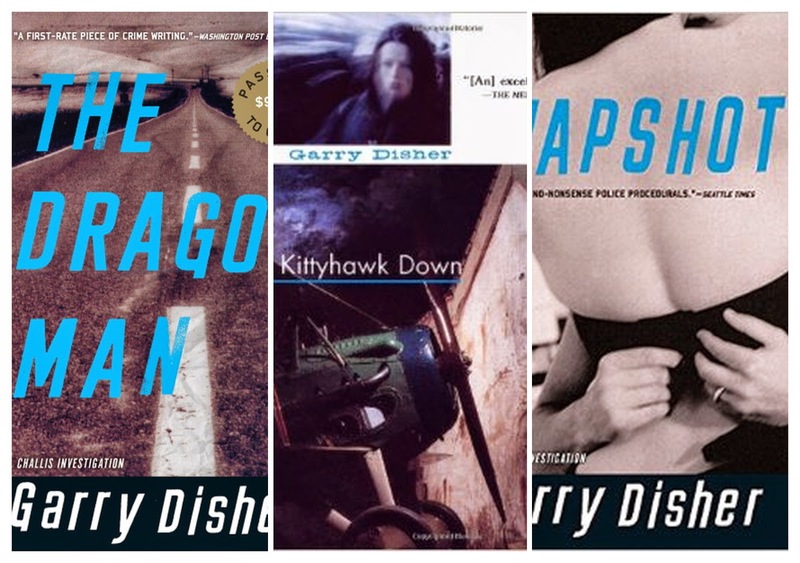 At the same time, these novels may go deeply into characterization and relationships, but exist in a kind of vacuum when it comes to the world surrounding the characters—the world of tension between rich and poor, of the stranglehold of fundamentalist thought in public debate, of corruption in government and business, of everyday racism, sexism and homophobia. Crime novels tackle these things. In this same interview you said, “Reading is vital to me as a writer.” You further said you tend to read bad books critically, but you read good books for pleasure. When you read a bad book do you look for what doesn’t work, and learn from it? As a writer do you learn more from a good book, or a bad one? Yes, I do look for what makes a bad book bad. It hones my critical editing abilities, which I hope helps me look for what is weak or poorly thought out or badly expressed in my own writing. Good fiction will also help, for I might see how other writers solve certain technical problems (I learnt how to handle an ensemble cast by reading John Harvey’s Inspector Resnick novels, for example). You have two current series characters: Hal Challis and Wyatt. Each is very different from the other. One (Challis) a career police inspector, and the other (Wyatt) a career criminal. The Challis novels are police procedurals written with deliberate style and pacing—the crime is often revealed in stages, and never rushed—and the Wyatt novels are stark, and somewhere near hardboiled. Do you enjoy writing one over the other, and does each style demand different writing (maybe craft) approaches? 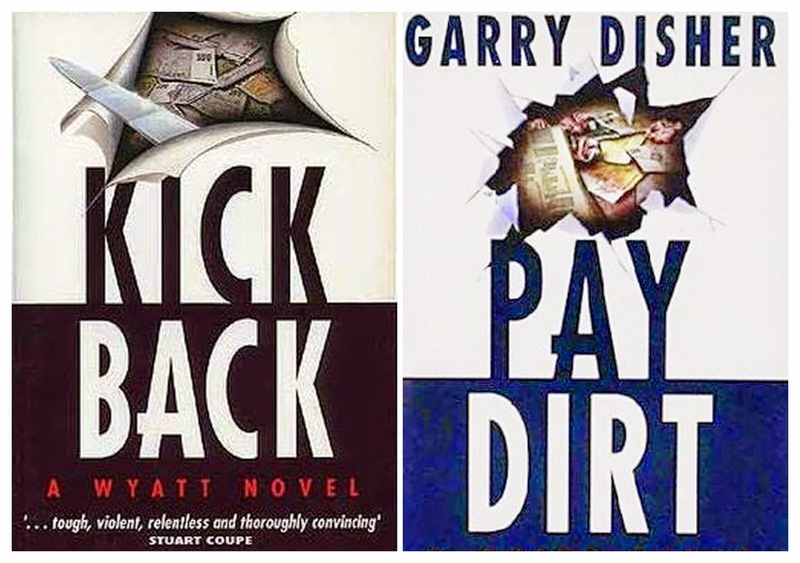 I wrote the Challis and Destry novels as a change from writing the Wyatts (six in six years, at the start). The Wyatt novels follow a certain formula (Wyatt identifies a place to rob, robs it, is betrayed, gets his revenge), but that doesn’t mean they’re easier to write. I’m a planner, spending weeks on a plan before I start, and every book poses challenges (balancing character and plot, whilst listening to my instincts). In both series, I take the reader into the minds of the bad guys as well as the good (it’s great for creating tension if the reader knows more about a situation than the hero does), so my thinking processes are similar. The book that posed the greatest challenge is my latest, Bitter Wash Road (unfortunately titled Hell to Pay in the States) for I do not stray from the thoughts, hopes and fears of the main character. I agree. Bitter Wash Road is a much better title than Hell to Pay. It features a very likable protagonist named Hirsch. Can we plan on seeing him again? 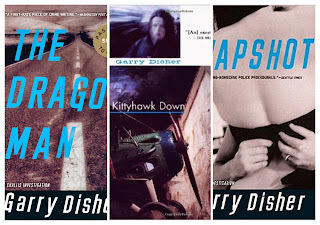 I have been making occasional notes for a follow-up Hirsch novel but nothing definite or any time soon. Your novels, particularly the Hal Challis police procedurals, have a very strong sense of place. As an example, in the first Hall Challis novel, The Dragon Man, you describe the heavy heat of mid-summer, Challis showering with a bucket to capture excess water for use in the garden, herons feasting on mosquitoes, etc. What is your expectation for setting within a story, and how do you deal with it as a storyteller? I know from teaching writing that beginner writers take the setting for granted. “Two characters are having an argument in a sitting room: okay, there’s a TV set, a couple of armchairs, a bookcase, that will do.” It won’t do. The setting is vital. If handled carefully (certain objects highlighted, or described in a certain way, appealing to the reader’s sense of touch, taste, smell, sight and hearing), a setting can come alive, seem tangible, and say something about the characters and the atmosphere. Hal Challis, especially in the early novels, is something of a broken man. In The Dragon Man you introduce the backstory of his wife, her affair, and the attempt she and her lover made to kill Challis. This is juxtaposed with Hal’s efforts to rebuild an old de Havilland Dragon Rapide airplane. Did you intend this to be an image of destruction and renewal? Or did you have something else in mind? I simply wanted to show a shy, somewhat sad, careful man with an interest that would absorb him, after his recent heartache. Plus, I love old planes. 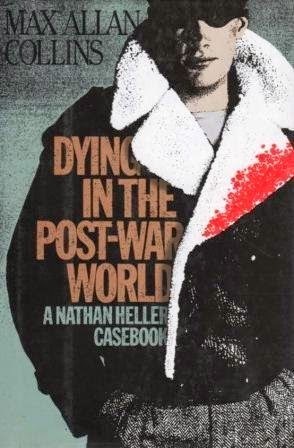 Staying with Hal Challis, I recently read the latest novel, Whispering Death, and I was struck that the cycle may be at an end. He sells his car—a now unreliable Triumph—and the Dragon Rapide he has restored over the previous novels. Not to mention he is involved with Ellen Destry and his life seems to be quite nice. Is this the final Hal Challis novel? Refer to the question above. It’s not the latest Challis, for I’m halfway through a new one. But I like to keep the series fresh for me as a writer and fresh for the reader, and so the characters change over time (marriage, job-rank, place of domicile, etc., etc.). I couldn’t see where the plane-restoration theme could continue, so found a way of jettisoning it for the future. So, yes, a cycle has finished, but not the series. Whispering Death also featured an enjoyable Wyatt-like—professional criminal—called Grace. She is a thief who is running from more than just the police, and there is a hint that we may see more of her. Something I would very much enjoy. Do you have plans for Grace in future stories, maybe even one of her own? I loved creating Grace. She’s whispering in my ear about a job she’d like to pull (I just have to think who her nemesis could be). Your Wyatt novels have been favorably compared with Donald Westlake’s, as by Richard Stark, Parker novels. There are similarities, but there are also significant differences. The most obvious is, Wyatt, while controlled, is more emotional than Parker, and even remorseful of the consequences of his actions. When you set out to write the Wyatt novels had you read any of the Parker novels? Were you influenced by the Richard Stark novels? I was greatly influenced by the Parker novels. But I had to make Wyatt my own character, not a clone of Parker. So now and then we see a little way into Wyatt’s inner life—but I don’t want to take this too far. If we cared too much for him (he had an unhappy childhood or he robs banks to pay for his little niece’s leukemia operation), he’d be less forceful and compelling. He’d no longer be Wyatt. After a 13 year hiatus (1997 to 2010) you wrote the seventh Wyatt novel in the self-titled Wyatt. Can we look forward to another Wyatt novel in the future? The new Wyatt, #8, is coming out in Australia late 2015. The Australian title is Down to Dust, and I hope my US publisher, Soho, picks it up. A superficial question. The novel Wyatt is billed by Soho as a “Wyatt Wareen novel.” Is this actually Wyatt’s last name? I have no idea where the name Wareen comes from. I have never used it. The character has always simply been called Wyatt. I have a vague idea that a reviewer some years ago called him Wyatt Wareen, but where he got the name, I have no idea. I think a big fat, well-illustrated history of art. It would be instructive and nourish the imagination. Lastly, as we discussed earlier, you are an avid reader. Do you have any particular favorite writers—in any genre, including literature—that have influenced you the most as both a writer and a man? Are there any Australian writers you would like to mention? Among Australian writers, Peter Temple is peerless (crime), and so is Helen Garner (‘literary’ true crime, as well as literary fiction). For her short stories, the Canadian, Alice Munro. In terms of crime writing influence, I’ll name John Sandford. He’s a very tricky and sneaky plotter, and clearly loves creating his bad guys. In terms of prose style, Richard Ford and Raymond Carver, both of whom I met when they visited Australia. A few months ago I ran across a Jack Bickham title that was new to me. 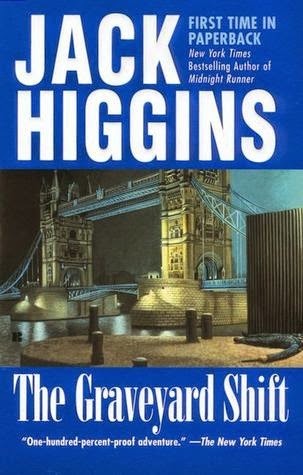 It was a paperback original published by Pyramid in 1975. 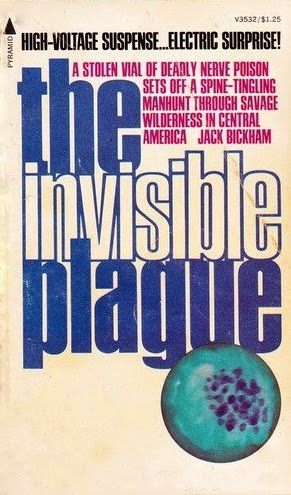 The title: The Invisible Plague. My girl was kind enough to give me a copy for father’s day, and it hit the top of my to-be-read pile earlier this week. Davey Clock is a professor of College English, specializing in Shakespeare, at a small Midwest university. He is middle age, overweight, divorced, a pacifist, and something of a coward. At the end of summer term he makes a late night trip to his campus office. The tropical fish he keeps need attention, a pile of papers await grading before his summer break can begin; which includes a week of vacation in his favorite city, San Francisco, and another of research in Guatemala City. The harsh sound of a fire alarm in the Microbiology building interrupts his night. After calling the fire department he wanders over for a closer look. He is rewarded with a blackjack to the back of the skull when he offers help to a man exiting the building in a rush. When he awakens in hospital he finds himself in the middle of an investigation by a shadowy government agency—a deadly toxin was stolen and the professor developing it was killed. A situation Davey likes even less than the ache in his head. The Invisible Plague is a slick, linear thriller. It is quick, stark, and very much of its era—government mistrust, war weary, and cynical. 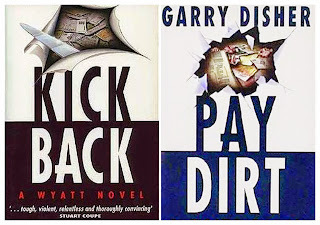 Cynical in both the government’s treatment of Davey, and Davey’s reaction to that treatment. Davey Clock is painted as something of a Hamlet—indecisive with an early lack of personal courage. He also has an annoying habit of quoting Shakespeare in everyday conversation, and a certain self-righteousness (particularly early in the novel) that is barely contained. The plot is designed in a simple, but effective, three act format. In the first act Davey is introduced, as is the primary confrontation—the robbers, and to a lesser extent the government agents. The second act is comprised of Davey’s attempts to deal with both, and the third, executed very well, is the climax, which includes both a satisfactory conclusion, and something of a redemption for Davey. The Invisible Plague is an entertaining novel. 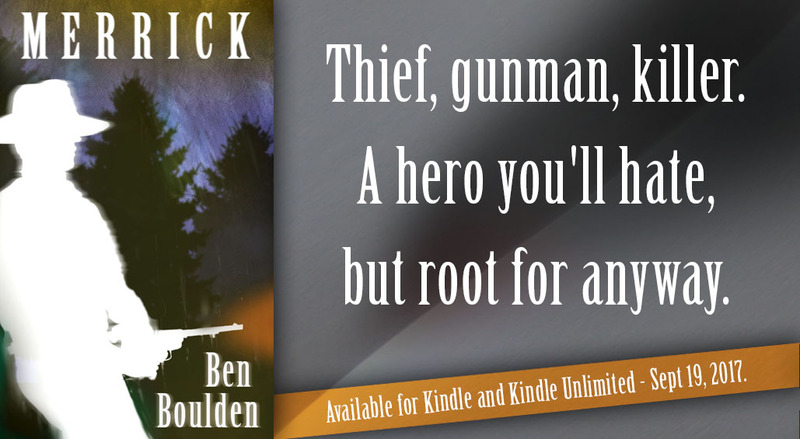 It appears its distribution was limited—I have been looking for Jack Bickham titles for 20 years and have seen it only on the Internet—but it is worth a look if you enjoy the older style thriller in general, and the work of Jack Bickham in particular. It reminded me a little, although not quite as good, as Dean Koontz’s (as by K. R. Dwyer) Dragonfly. 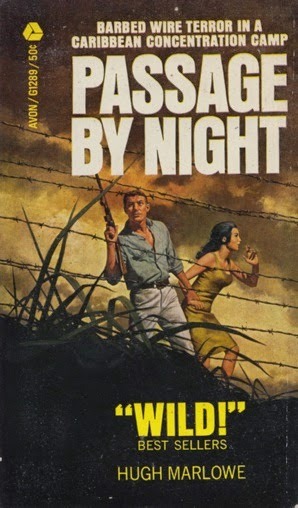 Passage by Night is the fourteenth novel published by Harry Patterson. It was released as a hardcover by Abelard-Schuman in 1964. 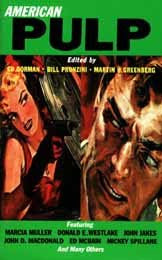 It is one of three novels Mr Patterson published as by Hugh Marlowe. This may be the earliest Harry Patterson title published in the United States; a paperback original issued by Avon in 1966. Harry Manning lost a profitable salvage operation when the fidelistas finished the Bautista regime in Cuba. He escaped Havana with his boat Grace Abounding, and nothing else. Now, between drinks, he makes a meager living as a charter captain. His bitter world is turned over when an airplane—his Cuban exile girlfriend a passenger—crashes into the sea with no survivors. It appears a bomb in the baggage compartment grounded the plane, and when Harry discovers a suspicious name on the passenger list—a man whose luggage was loaded, but who never boarded—he begins a manhunt. Passage by Night—be patient with the cliché—is vintage Jack Higgins. The plot is everything. It is smoothly executed with a tide of heavy action, and a hard undertow of surprise. The climax is satisfyingly shocking, but wonderfully simple. The Caribbean setting is both exotic and familiar. The Cuban baddies are larger than life, the good guys are heroic, and there is want for a wasted word. A bet Harry lost, and lost badly. There is also the fun of spotting Mr Patterson’s repeats. He has a habit, and not one that bothers me in the least, of repeating himself. The name “Fallon”—a pseudonym used by Mr Patterson, and the name of two unique protagonists—is worn by a less than minor character, and “The Cretan Lover”—the original U. K. title of his novel Solo—is a chapter title. Passage by Night is pure entertainment, and damn fun.